This week's sponsor: Go to www.KingArthurFlour.com to see King Arthur Flour’s complete line of products. This week’s sponsor: Go to www.KingArthurFlour.com to see King Arthur Flour’s complete line of products. Author Sharon Hudgins writes a love letter from post-Soviet Vladivostok. Plus, IBM’s supercomputer creates flavor combinations; Dan Pashman lies to his kids about food; and we test cooking oils over high heat. Go to butcherbox.com/milkstreet for $20 off your first box plus 2lbs of free 100% grass-fed ground beef in every ButcherBox you order for the lifetime of your subscription. Go to milkstreet.robinhood.com to sign up. Robinhood is giving listeners a free stock like Apple, Ford or Sprint to help you build your portfolio. Chris Elliott, who investigated the horse meat scandal in the United Kingdom, talks about fake oregano, cardboard in parmesan and the multibillion dollar business of food fraud. Plus, we investigate the curious case of “Q” (a Taiwanese obsession with chewiness); we travel to Milan for risotto; we uncover clever culinary uses for yogurt; and Dr. Aaron Carroll asks whether cow’s milk is nature’s most nearly perfect food. This week’s sponsor: Go to butcherbox.com/milkstreet for $20 off your first box plus 2lbs of free 100% grass-fed ground beef in every ButcherBox you order for the lifetime of your subscription. This week’s sponsor: Go to FergusonShowrooms.com to browse the Inspiration Gallery and request an appointment. Go to fergusonshowrooms.com to browse the Inspiration Gallery and request an appointment. Go to FergusonShowrooms.com (http://fergusonshowrooms.com/) to browse the Inspiration Gallery and request an appointment. Go to milkstreet.robinhood.com (http://milkstreet.robinhood.com/) to sign up. Robinhood is giving listeners a free stock like Apple, Ford or Sprint to help you build your portfolio. Nik Sharma, author of “Season,” gives Milk Street a lesson in cooking with spices. Plus, we investigate the unknown culinary history of France; we make a magic pudding cake; give tips for whipping egg whites; and Adam Gopnik asks whether DNA diets are fact or fiction. Musician and record producer John Carter Cash explains why he loves cooking with Mountain Dew, reveals his recipe for Southern cornbread, and shares stories and recipes from his family’s table. Also on this week’s show: grandmothers do the cooking at Enoteca Maria in Staten Island; our recipe for French walnut tart; a quick tip for freezing soaked dried beans; and The New Yorker’s Adam Gopnik discusses the holy marriage of starch and protein. Alon Shaya is having a moment—he’s just opened two new restaurants and published his first book. But his success wasn’t always a given. We chat about his circuitous path and the food he ate along the way. Also on this week’s show: Julia Turshen makes magic out of leftovers (tomato sauce becomes tomato soup); secrets to oven-poached salmon; four unexpected ways to use tahini; and Dan Pashman remembers Homer Simpson and food. We chat with Von Diaz about the flavors of Puerto Rican cooking and the world’s best breakfast sandwich. Also on this week’s show: Molly Yeh moves to Minnesota and trades Sichuan take-out for hotdish and beet farming; a recipe for chocolate-almond spice cookies; and Dr. Aaron Carroll says “no” to a new study on alcohol. Meet the YouTube star who recreates recipes from classic movies and TV shows. Also on this week’s show: the amazing food of the Islamic world; J. Kenji Lopéz-Alt talks turkey skin; Indian-spiced butternut squash soup; and make-ahead blanched greens. The Swiss explorer discusses how she cooks and forages in the wild and why the mental journey is a bigger challenge than the physical. Also on this week’s show: Strange tales of food and the British Empire; ricotta-semolina cheesecake; Oaxacan Hot Chocolate; and The New Yorker’s Adam Gopnik on the ethics of meat. The Chez Panisse founder discusses the early days of the historic Berkeley institution and the power of taste to change lives. Also on this week’s show: Our trip to Sicily for the real Pasta e Fagioli; Jerrelle Guy chats about her debut book, Black Girl Baking; and Dan Pashman of The Sporkful performs an on-air experiment about sound and taste. Ronni Lundy, author of “Victuals,” eats her way through Appalachia. Also on this week’s show: Mark Kurlansky reveals the shocking, often deadly history of milk; we travel to Genoa to uncover the authentic recipe for Pesto Genovese; and Dr. Aaron Carroll talks trans fats and health. Mimi Sheraton, the first woman restaurant critic at The New York Times, doesn’t trust anonymous crowd-sourced reviews and says that authentic food is in the eye of the eater. Also on this week’s show: The near death of Tex-Mex; how to make a simple Tuscan beef and pepper stew; a new theory of wine; and a recipe for a Moroccan Nutella. Also on this week’s show: Up with pomegranate molasses; sheet-pan roasted chicken; J. Kenji López-Alt investigates the science of baking pizza at home; and why Australian cuisine is the most diverse, adventurous on the planet! Also on this week’s show: The egg mogul who finally went to jail; authentic no-stir polenta; homemade coconut milk; and the French who put ice cubes in wine! Also on this week’s show: Pumpkin spice gone wild; dump and stir Spanish Almond Cake; and the truth about fish and mercury. This week, NPR’s Maria Godoy reports on pop-punk band Shonen Knife; Milk Street travels to Taipei, to a cooking school that teaches street food; our recipe for shaved zucchini salad; and dry versus sweet wines. Originally aired August 24, 2017. Also on this week’s show: Why foods go viral; new ways with miso; wine boot camp; and sumac meets tomatoes. Also on this week’s show: Barbecue around the world, from boodog to hāngi; LA’s Cambodian donut shops; whisk tips; and Austrian plum cake. Also on this week’s show: How to cut up a cow, with New York butchers Erika Nakamura and Jocelyn Guest; Armenian grilled pork chops; and junk food taxes, good or bad? Also on this week’s show: The Gefilte Manifesto – modern Jewish home cooking; Taiwanese grilled corn; and Dan Pashman on the Library of Congress Cooking Club. Are supermarket leafy greens dangerous? ; inside Brooklyn’s Aska Restaurant; and olive oil bundt cake from Italy. We interview Brad Leone, star of Bon Appetit’s “Its Alive with Brad”; introduce our recipe for Salmon Chraimeh; learn to toast grains; and Dan Pashman of the Sporkful on the geometry of a pizza slice. Does coffee cause cancer? ; Pakistan’s Martha Stewart; pisto; and quick yogurt sauce. *This episode is a corrected version that fixes an error in the previous version. Everyday Turkish cooking at Özlem’s Table; TV dinner etiquette; three-cup chicken; homemade chile oil. Fad foods; the secret history of Jack Daniel’s; freezing soaked beans; and Colombian pot roast. Filipino delicacies found at a bus station in Tel Aviv; Marketplace’s Krissy Clark reports on the peanut butter controversy that changed how the FDA regulates commercial foods; and how to revive stale spices. Italian chef Massimo Bottura feeds the world; ARFID is a new picky eating disorder; our recipe for ricotta cheesecake; and the New Yorker’s Adam Gopnik on what the next generation is drinking. Originally aired 12/8-12/15, 2017. The women who run France’s Champagne industry; Thai stir-fried spinach; making saffron salt; and Stephen Meuse on wine. The amazing food of Georgia with Olia Hercules; Milk Street’s top 10 cookbooks of the year; porchetta comes home; and dressing up the holiday table with Athena Calderone. Italian chef Massimo Bottura feeds the world; ARFID is a new picky eating disorder; our recipe for ricotta cheesecake; and the New Yorker’s Adam Gopnik on what the next generation is drinking. Reporter Sandip Roy desperately seeks turkey in Calcutta; tea-rubbed maple turkey; The Sporkful’s Dan Pashman onThanksgiving Anxiety; holiday call-ins with Sara Moulton; the science behind tryptophan with Dr. Aaron Carroll; The New Yorker’s Adam Gopnik on his first Thanksgiving in 1980s New York; J. Kenji Lopez-Alt on make-ahead mashed; and wine expert Stephen Meuse says Burgundy wines are best for the holiday table. Former Eater Editor Helen Rosner on what’s hot in food media; Sumac Chicken; cooking onions; and Dan Pashman of the Sporkful on Willy Wonka, food and parenting. Whole Foods founder and CEO John Mackey on the future of supermarkets; Dawson City, Yukon, Canada’s “Sour Toe Cocktail”; our recipe for Vietnamese Coffee Cake; salt and pepper get divorced; and Dr. Aaron Carroll on why eggs are safe. Reem Kassis brings us quick and easy weeknight cooking from Palestine; our tip for peeling ginger; we travel to India to try medicinal camel’s milk; and J. Kenji Lopez Alt reveals how to cook beans. A culinary tour of Turkey with Robyn Eckhardt; San Antonio food critic Mike Sutter eats 365 tacos; Dan Pashman of The Sporkful makes Rosa Parks’ peanut butter pancakes; and our recipe for Trapanese pesto. Laura Shapiro investigates the foodways of famous women, from Eleanor Roosevelt to Eva Braun; we travel to Okinawa for Blue Seal Ice Cream; we visit Istanbul for the best Turkish kofte; and J. Kenji Lopez-Alt on marinades. Interviews with famous foodies; the cuisine of ancient Rome; our recipe for margaritas; Christopher Kimball’s top 5 food books; and coffee as health food. Great recipes from Istanbul; Cuban-spiced burgers; Melissa Clark whips up supper; and the New Yorker’s Adam Gopnik Dishes bearnaise. We travel to Tel Aviv to celebrate hummus, plus Cherry Bombe’s Kerry Diamond, Tartine’s Liz Pruitt, and wine expert Stephen Meuse explains the cru wine system. David Leite analyzes himself, plus naturally lactose-free milk and grown-up chocolate chip cookies. J. Kenji Lopez-Alt takes a food-science pop quiz; KFC is short for Korean Fried Chicken; pound cake is reborn; and Adam Gopnik’s ode to celery and parsley. Australian blogger and forager Rohan Anderson makes sneaky eel dip and payback paella; Adam Gopnik reminisces about New York City’s Carnegie Deli; Abraham Conlon of Chicago’s Fat Rice reveals the home cooking of Macau; and we present our recipe for pistachio-cardamom loaf cake. This week, the new Indian cooking with Meeru Dhalwala and Vikram Vij, hunting to eat with Louise Gray, Dan Pashman of WNYC’s The Sporkful podcast plays with breakfast cereal, and our recipe for creamy pasta sauce. This week, we talk to chef Pierre Thiam. The food of Senegal has big flavors and big heart, and Thiam reveals the culture that inspired him to cook. “In Senegal … people believe that the more they share the food with you, the more plentiful their bowl will be,” he says. Then we’ll present our recipe for Tahini Swirl Brownies and a tip for all-new compound butters. Also on the show, we talk to Damon Baehrel about his “mystery restaurant,” in upstate New York, Dr. Aaron Carroll investigates how looking at food stamp choices could reduce obesity and, as always, Christopher Kimball and Sara Moulton take your calls. This week on Milk Street Radio, master baker Dorie Greenspan remembers her experiences with Julia Child. “When I first met Julia she said… ‘Have you ever seen the Dan Aykroyd Saturday Night Live skit? You know, where Dan Aykroyd imitates me?’ She stood up and did the entire routine, so I got to watch Julia imitating Dan Aykroyd imitating Julia.” Also on today’s show, wine expert Stephen Meuse decodes vintage wines, we offer our recipes for high-heat scrambled eggs and Georgian Chicken Soup, Nigella Lawson gives us a quick Tuesday night meal, and Sara Moulton and Christopher Kimball take your calls. Also on today’s show, we make a quick Tuesday night meal with Lidia Bastianich and bring you a revolutionary approach to foolproof pie dough. Plus, we talk to Stephanie Danler, author of the novel “Sweetbitter,” and Christopher Kimball and Sara Moulton take your calls. Originally aired 11/13/16. Also on today’s show, Adam Gopnik opines on chefs and madness and Dan Pashman of WNYC’s The Sporkful podcast reveals a scientific method for eating chips and dip. We’ll offer you our recipe for authentic Mexican guacamole, inspired by Diana Kennedy, as well as all-new fried eggs. And Christopher Kimball and Sara Moulton will take your calls. We’ll also offer our recipe for quick pork tapas and a tip for cooking pasta in its sauce. Dr. Aaron Carroll explores the truth about peanut allergies, Lior Lev Sercarz takes us inside the world of spices and, as always, Christopher Kimball and Sara Moulton take your calls. This week on Milk Street Radio, chef Ana Sortun unveils the secrets of Turkish cooking. “I think the very first time I went to Turkey, I was invited to go study with a couple of women. One lived in the southeast of Turkey, and she organized a potluck that was put on by her friends where they all prepared a dish that was really special to them,” Sortun says. “I tasted 30 of these dishes that day and I didn’t know what any of them were. I had never tasted anything like them before, so I didn’t necessarily feel like I had come home. But what I did know was that I wanted to understand what was behind them, [that] this was a really interesting way of cooking and that I really needed to know more.” We also take a look at a Vietnamese-style weeknight dinner with Andrea Nguyen, wine expert Stephen Meuse explores the sommelier’s romance with one wine, and we’ll offer our recipe for caramel oranges. Finally, Sara Moulton and Christopher Kimball take your calls. This week on Milk Street Radio, we speak with Andy Ricker (Pok Pok) in Chiang Mai, Thailand. “Western food … builds flavor over time to come up with a monolithic, single, strong, rich flavor,” Ricker says. “Thai food and southeast Asian food, in general, tends to be this battle of different bright, salty, sweet, sour, hot, bitter (notes), all working together in various different roles in particular dishes. But they don’t meld to become one thing. Often (with) dishes here, you can taste everything that’s going on, all at once in a bite.” Also on today’s show, Dan Pashman of The Sporkful makes New Year’s resolutions, Adam Gopnik explores eating in difficult political times, and we present our quick sizzling greens recipe. Finally, Christopher Kimball and Sara Moulton take your calls. This week on Milk Street Radio, we interview Ziggy Marley about his new cookbook. “For me, the most special moments is when it comes from the place that you can’t explain. A lot of my songs, the one’s that … give me that other worldly experience, I can’t explain how they came,” Marley says. “Those experiences is what kind of let me know that there is more out there in our world that we don’t understand.” Dr. Aaron Carroll considers whether drinking is good for you. Wine expert Stephen Meuse argues why Beaujolais is best for the holidays. We unveil our recipe for oven poached salmon and, as always, Christopher Kimball and Sara Moulton take your calls. This week on Milk Street Radio, we visit Claire Ptak of Violet Bakery in London. Claire says under-beat, under-fold and under-bake; plus we’ll give you our take on chocolate, prune and rum cake; Dan Pashman of the Sporkful talks about the science of snacks; New Yorker writer Adam Gopnik breaks down his perspective on cultural appropriation and food; we’ll offer you the best way to beat egg whites, and as always, host Christopher Kimball and Sara Moulton will take all your cooking questions! Originally aired 10/28/2016. This week on Milk Street Radio, we talk to blogger and writer Sasha Martin, who cooks through the alphabet starting with Afghanistan. “The first day we meet, the next day we are brothers,” Sasha says. “And this idea that when we sit down to the food and we put away our silverware and we’re eating with our hands and we’re having this communal meal something changes and indeed we sat around the table for a really long time that night and it was just a wonderful experience.” Christopher Kimball discusses Milk Street’s cookbook roundup for the year with editorial director J.M. Hirsch. We also learn how to transform an affordable cut of beef into a succulent holiday roast, and wine writer Stephen Meuse discusses the best wines for the season. Finally, we take your calls with Sarah Moulton. This week on Milk Street Radio, we talk with food writer Michael Pollan—author of The Omnivore’s Dilemma and star of the Netflix series “Cooked.” “I don’t think people are quite aware how many marketing messages for food they see in a day,” Pollan says. “The total amount of money the government spends offering nutrition advice, the food pyramid, the eat 5 servings a day, the you know avoid trans-fats whatever it is, all that government spending which is in the three hundred million or so range was less then the marketing budget for one Pepsico, one product, one snack food, so you know the information is so imbalanced that this idea of a consumer democracy falls apart.” Dan Pashman of The Sporkful podcast considers waiting for your food. To prepare for the holidays, we walk listeners through our recipe for sticky toffee pudding, and Portland cocktail expert Jeffery Morgenthaler prepares egg nog for the 21st century. And, as always, Christopher Kimball and Sara Moulton take your calls. This week on Milk Street Radio, we take a look inside the Vietnamese kitchen and talk to Andrea Nguyen about everything from breakfast banh mi to “kheo.” “I think authenticity comes from the ability to cook well and to cook with intent,” Nguyen says. “We describe good cooking, thoughtful cooking, as cooking that is kheo.” Also on this week’s show: Dr. Aaron Carroll questions the necessity of breakfast; Milk Street rethinks scrambled eggs; we visit a thriving Syrian refugee camp bakery; Sara Moulton and Christopher Kimball take your calls; and we talk about carbon-steel pans, an alternative to nonstick. Originally aired 10/22/2016. This week on Milk Street Radio, we discover the backstreet cooking of Armenia, Georgia and Iran with Naomi DuGuid: “We sit and sip tea together. That’s just magical — you know we don’t have a language, but we’re so appreciating that moment… there’s just this feeling… it’s a huge world but we can hold hands across the sea, across a table.” Also, Fuchsia Dunlop joins us live at Milk Street; The New Yorker’s Adam Gopnik discusses ethical eating; we learn a better way to make stew; and, finally, Christopher Kimball and Sarah Moulton take your calls. This week, we interview Jonathan Balcombe, author of the book What A Fish Knows; we send our intrepid reporter Olivia Humphreys to London where she removes her inhibitions and her clothes to report on the latest “naked pop-up;” we’ll give you our recipe for a no-brine turkey; The Sporkful’s Dan Pashman explores a vegetarian Thanksgiving; we take your calls with Sara Moulton, and talk heavy cream. This week we get up close and personal with Nigella Lawson; plus quick Tuesday night meals with Lidia Bastianich; a revolutionary approach to foolproof pie dough; we’ll talk to Stephanie Danler, author of the novel Sweetbitter; and we take your calls with Sara Moulton. This week, we learn how pollen analysis is used to foil honey laundering and solve cold murder cases; plus our Chinese white-cooked chicken recipe; chef Andy Ricker’s favorite kitchen tools; we take your calls with Sara Moulton; wine expert Stephen Meuse offers insight on dry Rieslings; and the strange science of marinades. Claire Ptak of Violet Bakery in London says under-beat, under-fold and under-bake; plus chocolate, prune and rum cake with Rayna Jhaveri, Dan Pashman of The Sporkful on the science of snacks; Adam Gopnik of The New Yorker on cultural appropriation; and the best way to beat egg whites. 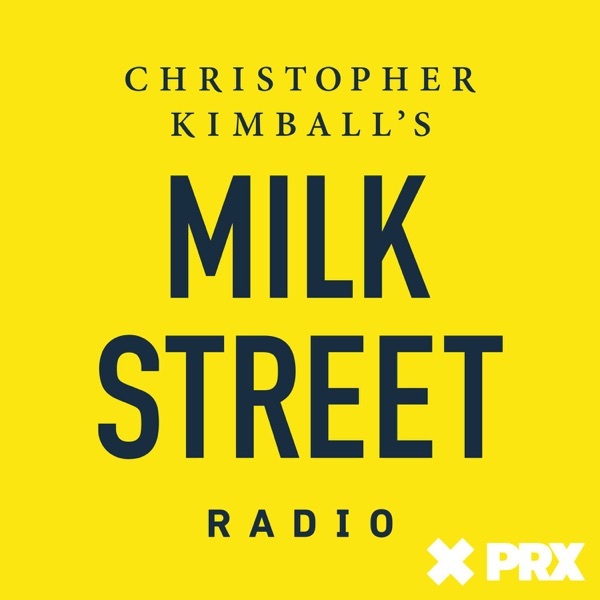 Welcome to Christopher Kimball’s Milk Street Radio! From street food in Thailand to a bakery in a Syrian refugee camp to how one scientist uses uses state of the art pollen analysis to track the origins of honey (and also to solve cold murder cases), Christopher Kimball’s Milk Street Radio goes anywhere and everywhere to ask questions and get answers about home cooking, food, culture, wine, farming, restaurants, literature, and the lives and cultures of the people who grow, produce, and create the food we eat. Listen to this preview of what’s in store!